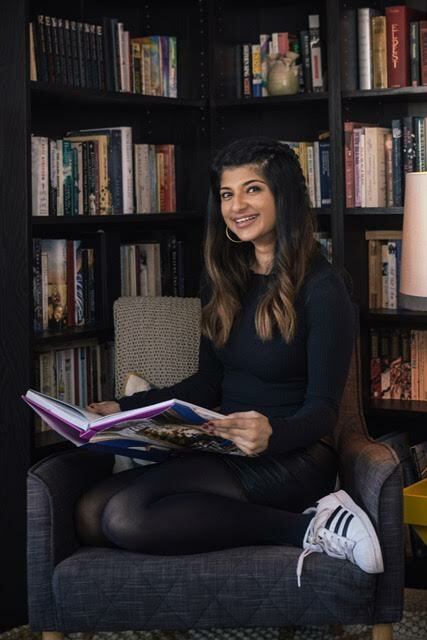 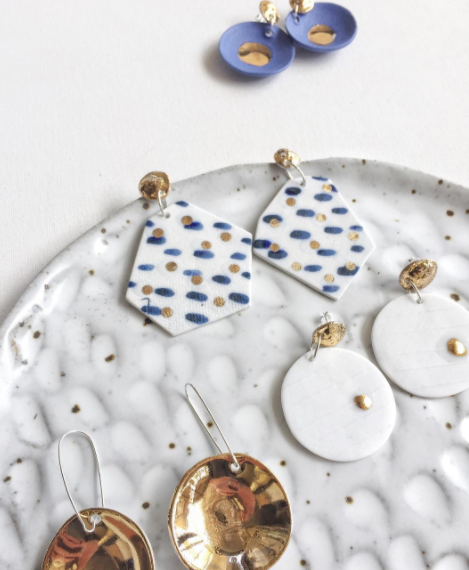 I don’t tend to use phrases like ‘crushing on’ but if I ever let my preconceptions about this phrase slide – this is an instance that I would be using it. 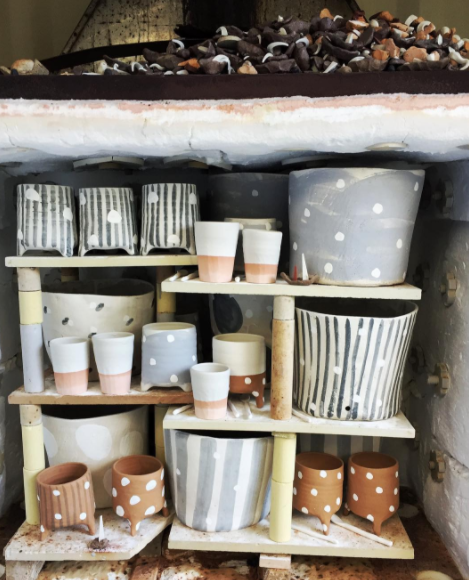 I haven’t talked about Australian ceramics a lot on this blog – i don’t know why – they are great – and being a ceramic addict it’s so interesting to see how ceramics reflect the materials of their environment. 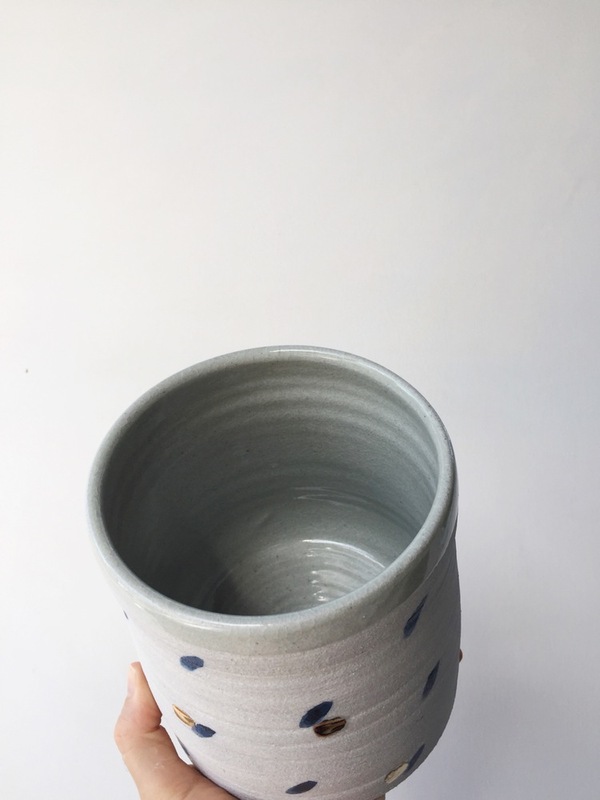 I’ve always loved the porous, textured and bright quality Australian potters often favour. 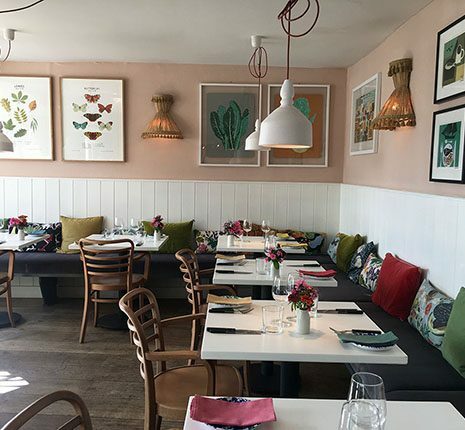 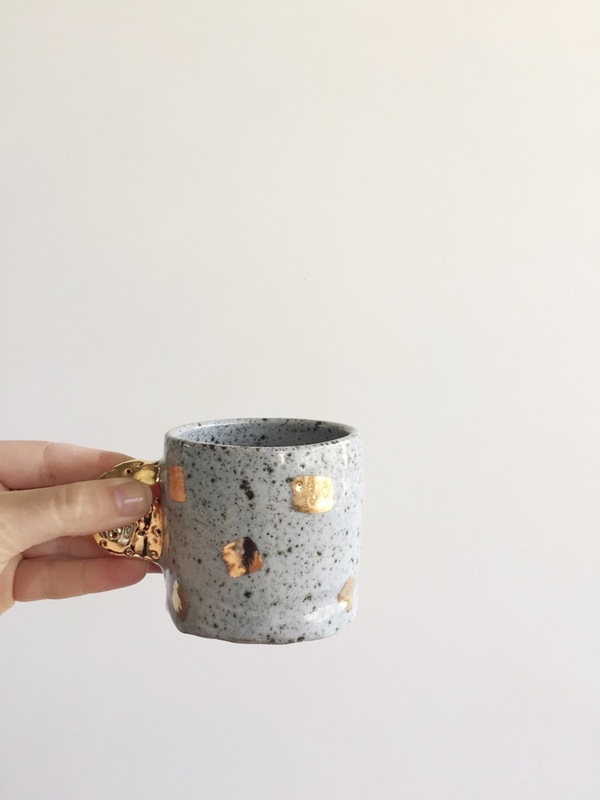 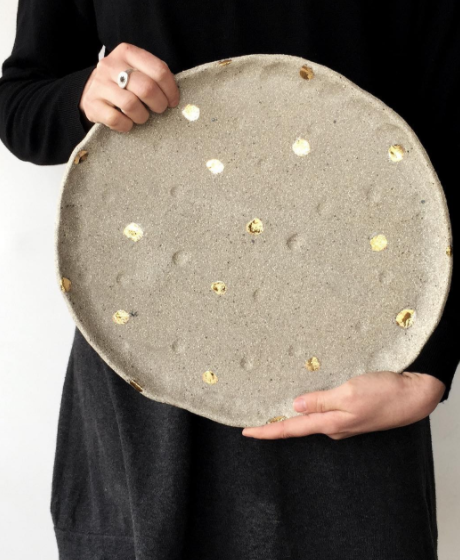 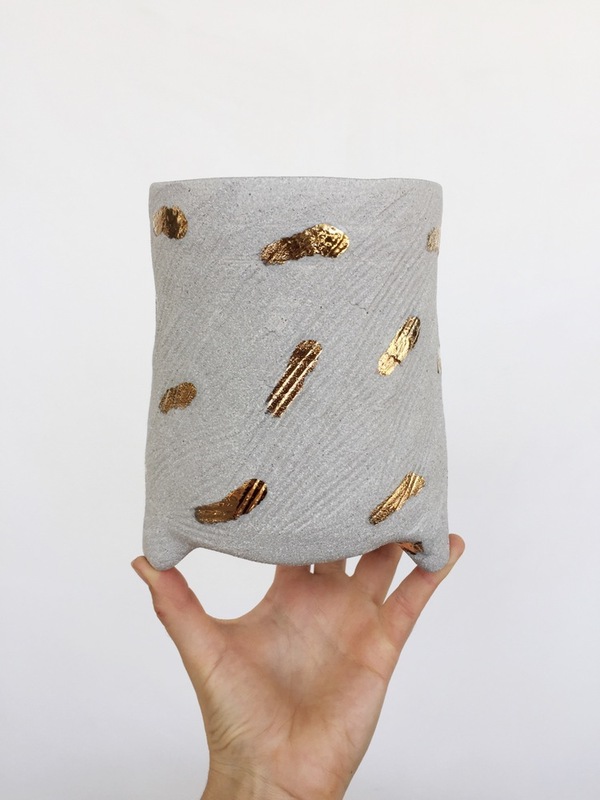 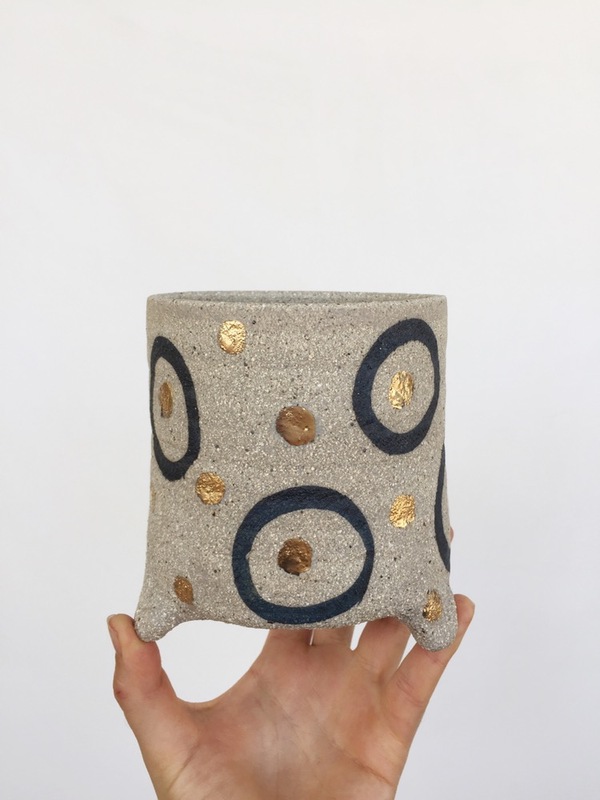 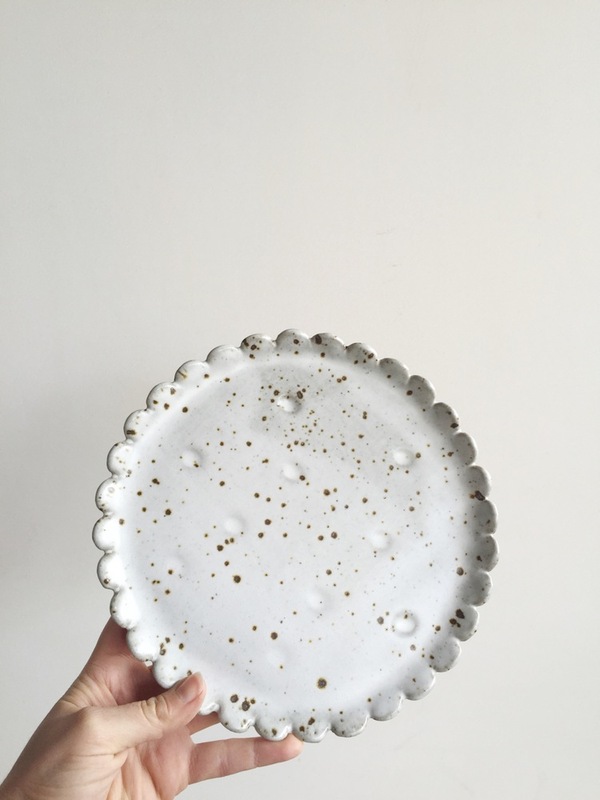 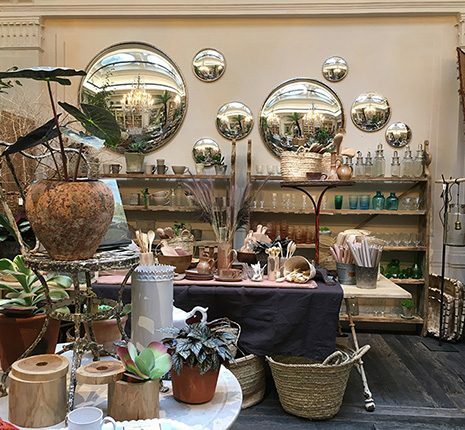 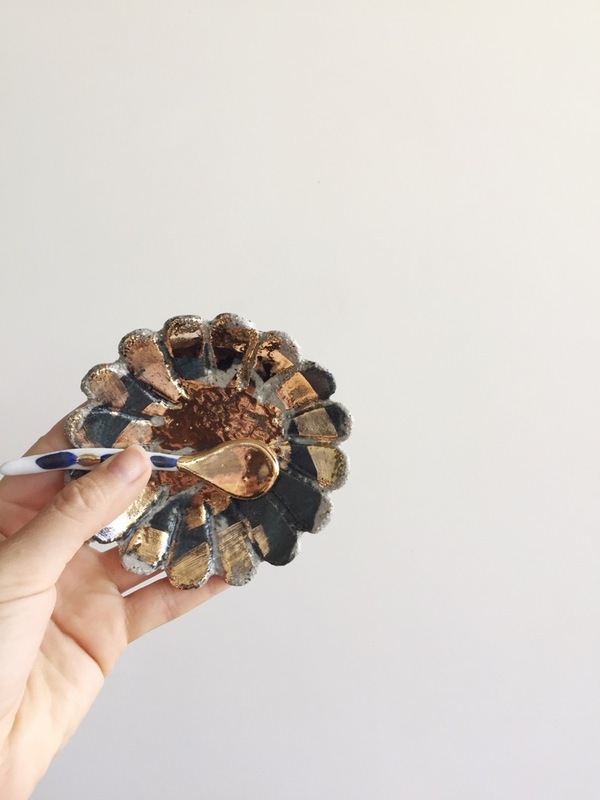 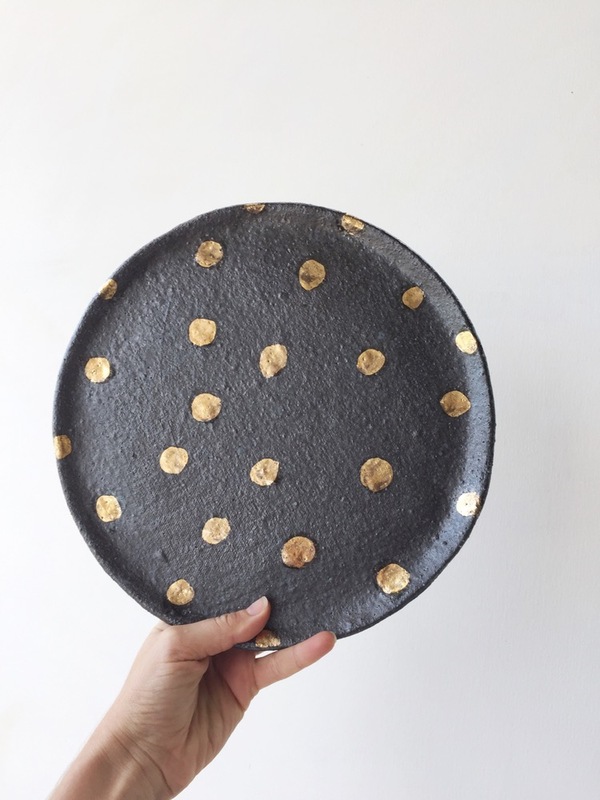 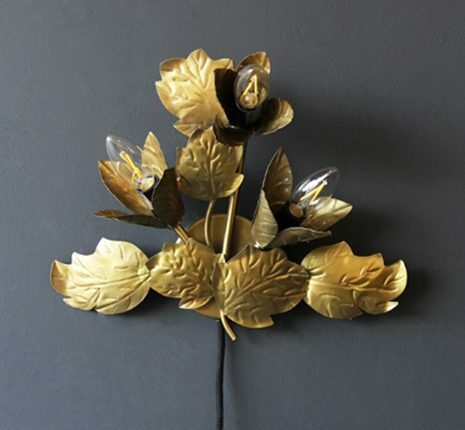 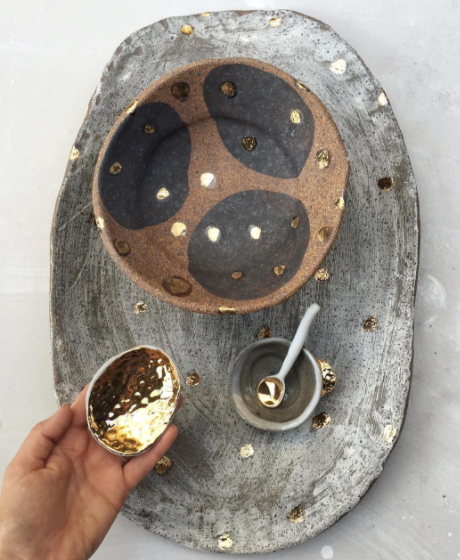 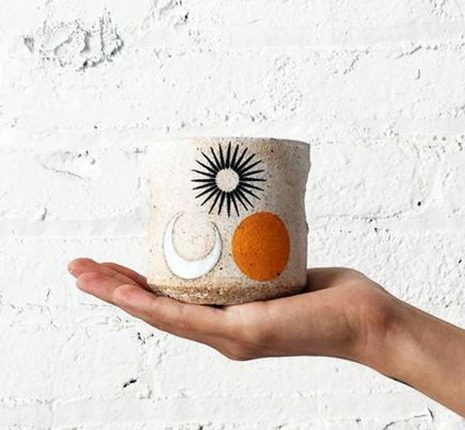 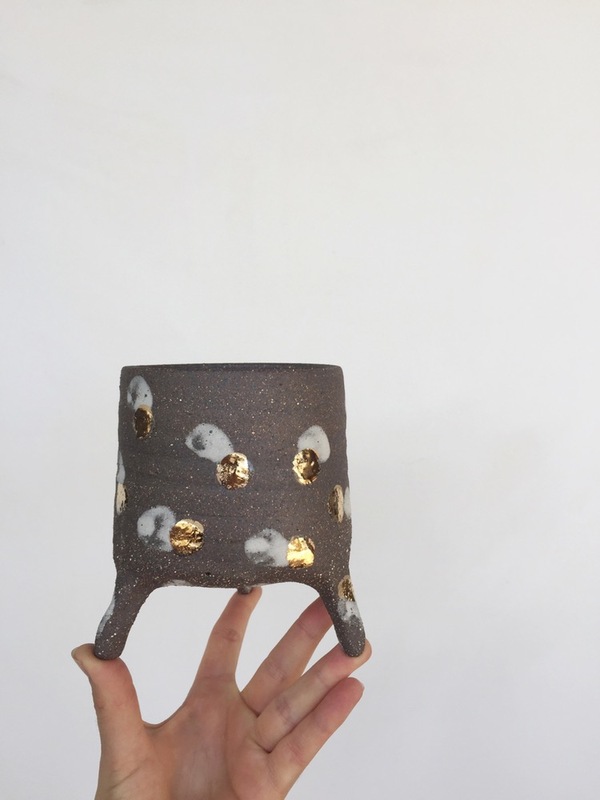 I discovered Bridget Bodenham on Instagram this week after someone posted an image of a visit to her ceramic filled studio – similar to the ones below – and I was hooked by her earthy pieces with gorgeous glimmering metallic details that she hand-paints on. 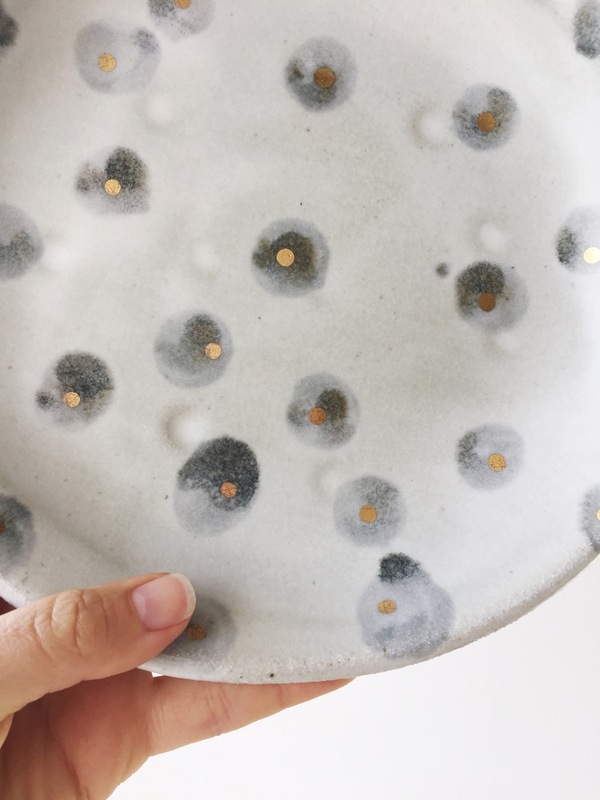 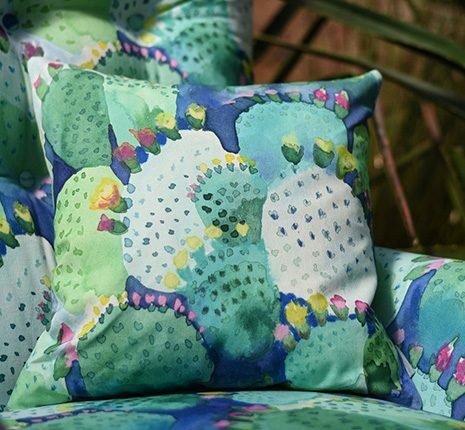 Bridget works out of a studio on her mother’s home amidst the bushlands of county of Victoria – and each piece is inspired by the textures and impressions of the nature found there – with a contemporary touch. 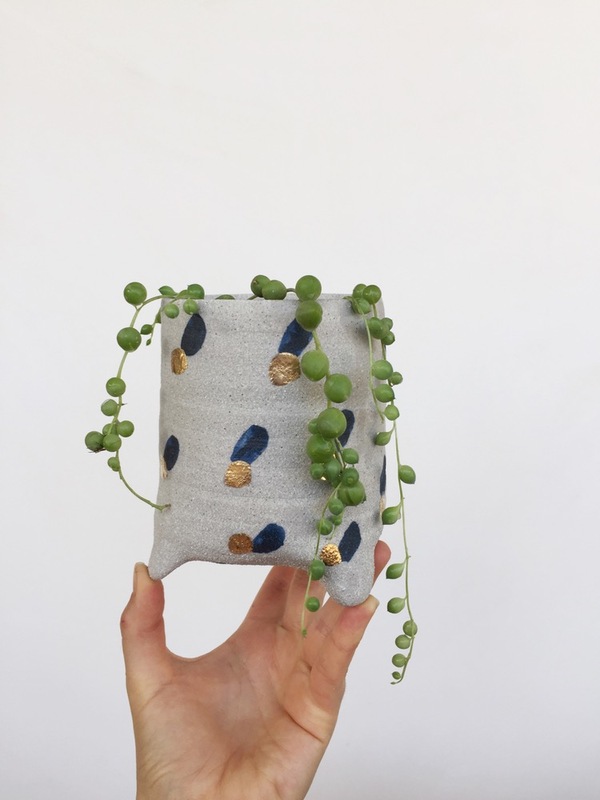 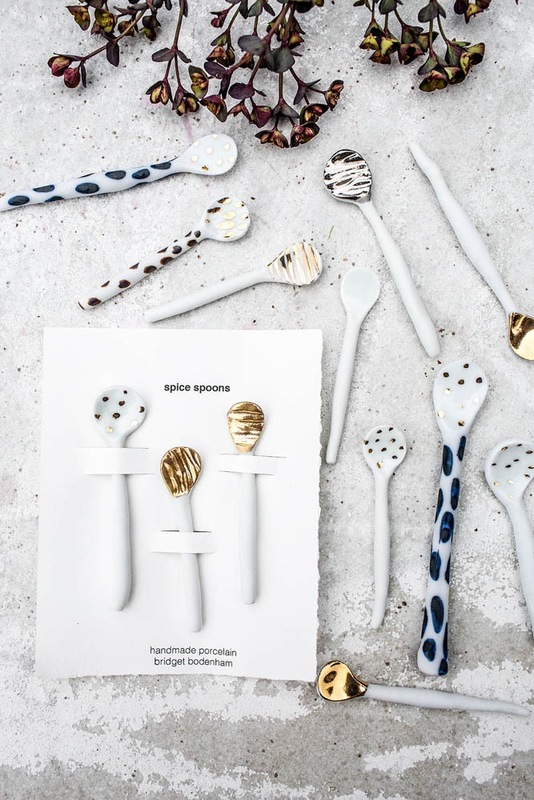 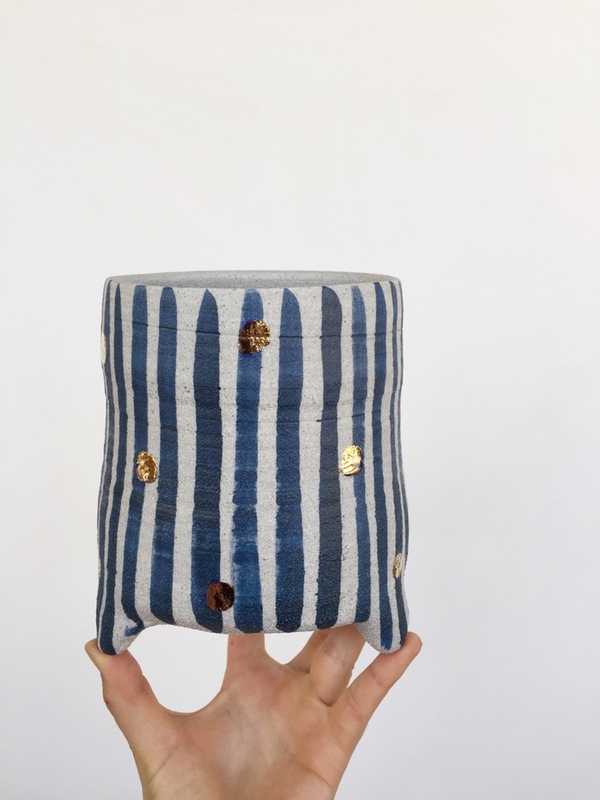 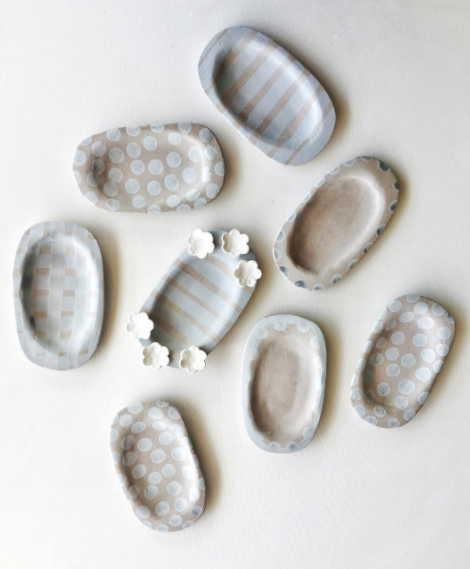 Bridget makes generously sized porcelain planters in graphic stripes dots and circles, ghostly speckled plates, tiny petal rimmed salt dishes, mugs with abstract handles and dainty spoons all daubed with gold paint. 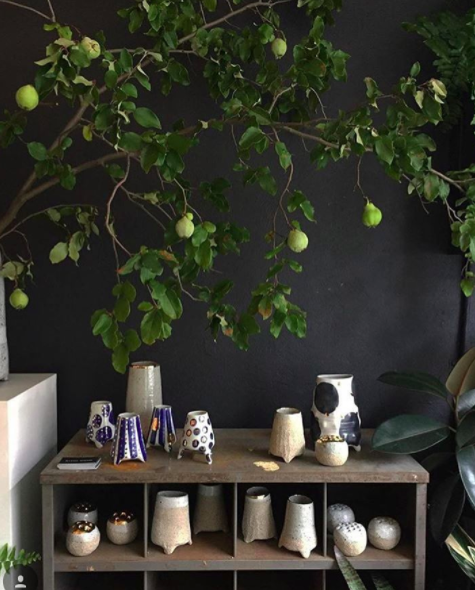 You can buy her collection of ceramics here and if you live in Australia she stocks at places like Mr Kitly in Brunswick, Pieces of Eight in the city and Craft Victoria. 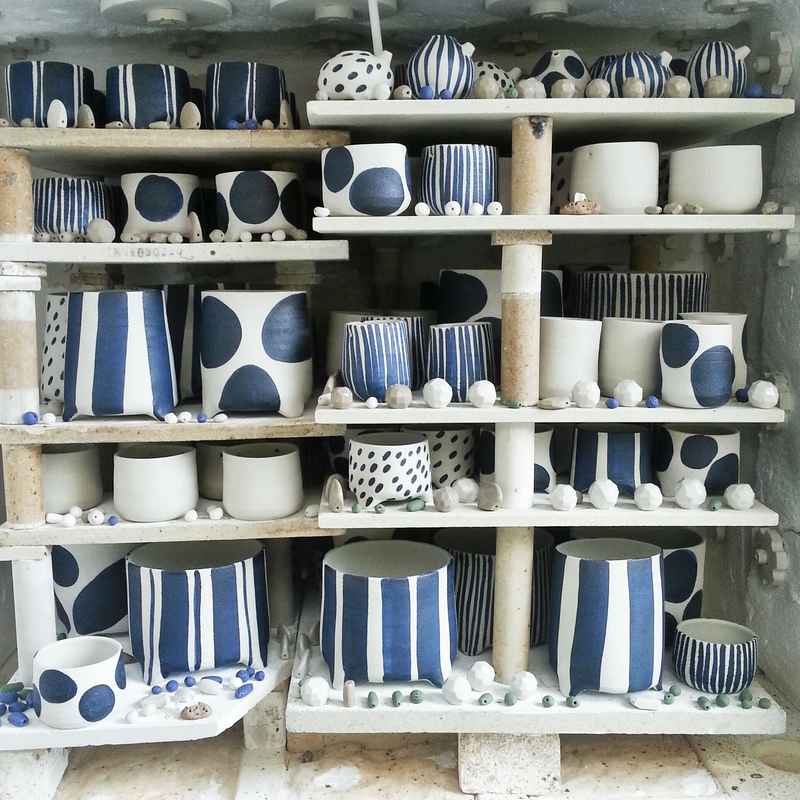 I know Polly I want them all!